A fter over a decade at our office in the heart of Wicker Park, Gulo’s main office is moving to some new digs. We’ve outgrown our headquarters atop Reckless Records’s original Wicker Park store. A part of us will always miss the steady thump of music beneath our feet. 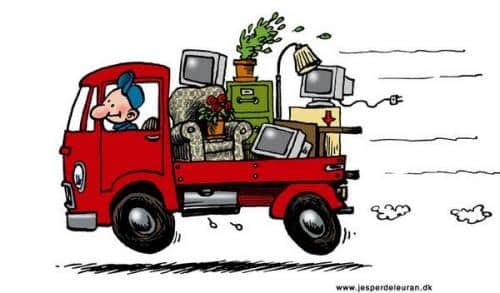 There’s a funny thing about moving: you expect it to be a stressful exercise, and yet the stress of the move usually somehow surpasses even your loftiest expectations. So you can imagine our surprise when the transition to our new (far more spacious!) HQ has been remarkably seamless. Vital information for Gulo operations and that of our clients are all hosted outside the office. Heck, our staff’s only down time is during their drive a mile down the road! So, as we enter the next phase of Gulo’s growth, it’s hard not to marvel at the mobile agility of the Gulo team and our services. Even if a crisis had occurred in the brief hours between offices, our hardware remained online, and our 8×8 telephony ap directed calls directly to our cell phones. For all intents and purposes, there was zero downtime as our entire office moved. I guess we’ll just have to find something else to stress out about? How about you or your firm’s digital needs? The stress of developing tools for the web space is what Gulo is built to handle. Believe it or not, we’re not professional movers! Nope. We’re builders. And just like always, we’re standing by to build out your web presence. Websites, apps, and everything in-between. Our team is always ready, now more than ever. On that note, stay tuned. We have some exciting announcements to come!